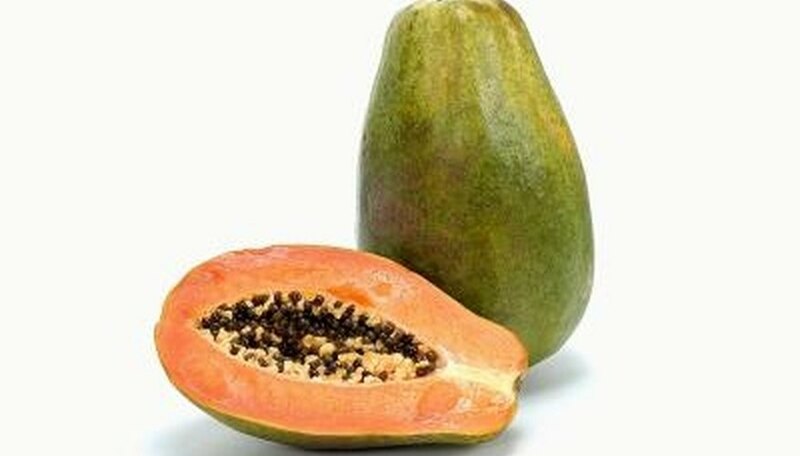 The papaya plant (Carica papaya) is a large herb that produces a tasty tropical fruit. This plant is native to tropical climates including Mexico, Central America, Panama and the Dominican Republic. Today, most papaya plants are cultivated in Hawaii, the Philippines, India, Latin America and South Africa. The fruits produced by this plant features a yellow skin when ripe and a orange or red flesh. Unfortunately, papaya fruit is commonly damaged by worms. The web worm (Homolapalpia dalera) is one of the types of worms that is known to damage papaya fruits. This worm is also commonly called a fruit cluster worm. The web worm causes damage by eating the stems and the fruits of the papaya plant. The holes then created by this worm allows the fungus anthracnose to enter the affected parts of the plant, causing further damage and sunken spots on the fruit. The presence of web worm is evident by the presence of webs and damage that can be seen near the main stem of each of the fruits produced by the plant. The best method of treatment is to prevent web worm by spraying the plant with a permethrin or malathion when the plant is about to start producing fruit. Earthworms (Megascolex insignis) have also been known to cause damage to papaya plants. This usually occurs while earthworms are still young. At that time, the worms feed on the root system of the herb, damaging the integrity of the plant and increasing the plant's susceptibility to damage caused by fungal infections such as stem and root rot. There is no known control for problems caused by earthworms. Hornworms are also known to affect papaya plants. Hornworms are large caterpillars that are more commonly associated with tomato and tobacco plants but which have also been known to plague the papaya plant. This caterpillar can easily go undetected because of its green color that blends in with the stems of the fruit. Adult hornworms can measure up to 4 inches long and feature a horn that protrudes from the head. These pests feed on the plant throughout the day, causing defoliation of the plant. Hand-picking and rototilling are both approved control methods for this pests. The application of Bacillus thuringensis is also an effective preventive measure when applied in the late spring.